New Delhi (India), January 17, 2019 – In order to meet broadcasters’ expectations of dual standards selection on a single platform with maximum flexibility, ENENSYS releases a new version of its TeamCast ATSC Digital Exciter supporting both ATSC3.0 and DVB-T2 waveforms on a single platform (i.e. EXACT-V2 1RU exciter from COMARK). This solution is demonstrated at the BES expo in India within the VTI / COMARK booth #41. Since its early introduction in 2014 and official release in 2016, the ATSC3.0 standard has been deployed in Republic of Korea and expected to be deployed this year in the United States. Additionally, new countries have expressed interest in these standards and are carefully following what early adopters intend to do with this promising new technology. 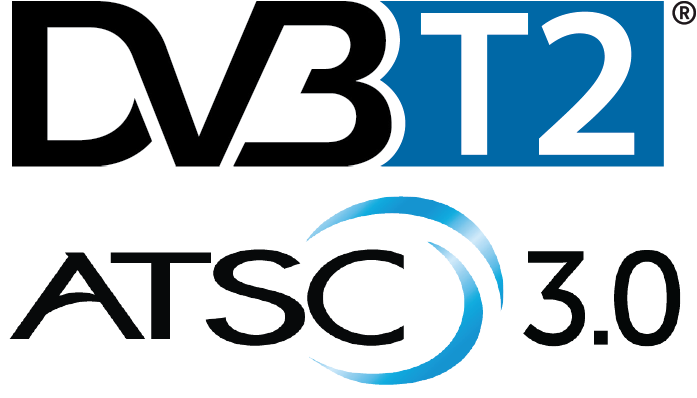 ATSC 3.0 brings some key benefits that include a native convergence capability between terrestrial broadcast and broadband, thanks to a common IP layer. Furthermore, this new standard enables terrestrial broadcasters to enlarge their sources of revenue beyond that of linear TV, implementing IP based data casting services (push data, push VOD, etc.). “The support of both ATSC3.0 and DVB-T2 waveforms on a single platform will enable Broadcaster’s to experiment with both second generation standards with the maximum flexibility. This also might motivate more innovation for new services in the future that would expand the maximum benefit of the different and complementary standards”, states Eric Pinson, Terrestrial Market Manager at ENENSYS Group. “We’re excited to stay in the forefront of Terrestrial DTV technology with this unmatched capability we provide with our exciter in partnership with COMARK”, adds Eric. TeamCast is a brand of ENENSYS Technologies. Based in Rennes, France, ENENSYS Technologies is a global designer and manufacturer of innovative professional equipment and software for the Digital Video Delivery and Broadcast industry. For 15 years the Group has been delivering highly innovative solutions to broadcasting chain operators allowing them to optimize the distribution of their content. Having invested €40 million in R&D over the last ten years, the Group has a reputation for excellence and is a market leader in solutions for optimizing, securing and monetizing DTT video flows. Its solutions are already sold to over 400 customers worldwide via four recognized brands – ENENSYS Networks, TeamCast, Expway and TestTree. For more information, visit www.enensys.com and www.teamcast.com. For over 45 years COMARK has been synonymous with broadcast expertise and innovation. A trusted partner to the world’s leading broadcasters, COMARK has pioneered many developments that have shaped the industry, leading innovation in IOT & MSDC-IOT technology, transistorized solid-state technology, Digital Adaptive Pre-correction (DAP), and also winning multiple Emmy® Awards; and gaining numerous patents in technologies that have become fundamental to broadcasting. COMARK is now building on this great heritage with the release of an entire new range of transmission products for terrestrial television broadcasting, and state-of-the-art products for scientific/industrial RF applications. With thousands of active COMARK transmission systems deployed worldwide and a global support presence, COMARK plans to continue to develop technologies for the future, with efficiency and performance initiatives for improving coverage and saving power.